I’VE BEEN WITH THIS GUY FOR THE PAST SEVERAL MONTHS AND AT FIRST I REALLY DID LIKE HIM, BUT LATELY HE’S WAY TOO OBSESSED: HE CALLS ME AT LEAST TWICE PER NIGHT (IN ADDITION TO SEEING HIM AT SCHOOL) AND IF I TRY TO MAKE PLANS WITH THE GIRLS ON THE WEEKENDS HE WON’T GO OUT WITH HIS FRIENDS. HE JUST SITS AT HOME WAITING FOR MY CALL. I TRIED TALKING TO HIM ABOUT IT, BUT HE WENT OFF ON THIS RANT ABOUT HOW HE WAS HAVING BAD THOUGHTS—OF LIKE HURTING HIMSELF AND STUFF I THINK HE HAS SERIOUS MENTAL HEALTH ISSUES. HOW DO YOU BREAK UP WITH SOMEONE IF IT MIGHT CAUSE THEM TO HAVE A TOTAL BREAKDOWN? Ask yourself how staying in this relationship affects your mental well-being. As much as you are being considerate of this guy’s feelings (and mental state), you can’t control whether or not he has a breakdown. (Remember, you could also unintentionally say or do something while you’re still together that would crush him.) If you truly want to call off the relationship, you need to simply do it. Don’t omit him from your life and don’t hesitate to call his parents, or even 911, if you think he may harm himself or others. It’s important that he gets help if he can’t seem to handle your news. The important thing is that you don’t continue to hang on to this relationship just to save his feelings, because you both will likely end up feeling miserable. SOMEONE STARTED A RUMOUR ABOUT ME AT MY SCHOOL: THAT I SLEPT WITH SOME GUY IN MY GEOGRAPHY CLASS. IT’S SO NOT TRUE—I DON’T EVEN KNOW HIM! I CAN TELL THAT EVERYONE IS TALKING ABOUT ME; SOMETIMES I WALK UP TO A GROUP AND THEY ARE ALL WHISPERING AND THEN IMMEDIATELY STOP WHEN THEY SEE ME. I WENT HOME CRYING ONE DAY BECAUSE IT WAS JUST TOO MUCH. I WANT EVERYONE TO KNOW IT DIDN’T HAPPEN! HOW DO I STOP THEM FROM TELLING LIES ABOUT ME? I feel for you!! Since you can only control what you think, say and do, I would suggest that you start speaking the truth. You don’t have to announce it over your school’s PA system, but you can start to speak up whenever you think it’s appropriate to clarify the facts and confidently tell people that the rumour is false! With a bit of time (and the self-assurance others see in you), you’ll do much to dispel the false gossip. And walk with your head high at all times—you did nothing wrong! MAKING PLANS TO MOVE AWAY FOR SCHOOL NEXT YEAR HAS BEEN SO MUCH FUN. IT’LL MEAN BEING AWAY FROM MY BOYFRIEND, BUT I KNOW WE CAN MAKE IT WORK. THE ONLY DOWNER HAS BEEN MY PARENTS. THEY WANT ME ON THE PILL WHEN I LEAVE FOR SCHOOL—WHICH I DON’T NEED! MY BOYFRIEND AND I ARE WAITING, SO IT’S STUPID TO TAKE MEDICATION FOR SOMETHING I HAVE NO INTENTION OF DOING. BUT THEY ARE INSISTING, SAYING IT’S “PLANNING AHEAD.” HOW DO I GET MY PARENTS OFF MY BACK? 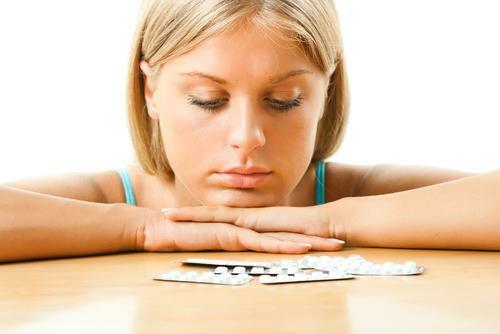 Ultimately, your parents aren’t going to know whether or not you are taking the pill when you are living away next year. Remind them of that. While it seems like this strategy is more to give them peace of mind, consider that all you can do is be honest with them. If you feel strongly that you won’t need the pill, you might consider making a compromise: you might agree to see your doctor and get a prescription in advance and promise that you will have it filled if you do decide to use the pill while you are living away. Either way, you need to have a say in what you put into your body.